Global & Disaster Medicine» Blog Archive » ** Guinea worm disease on the way out! 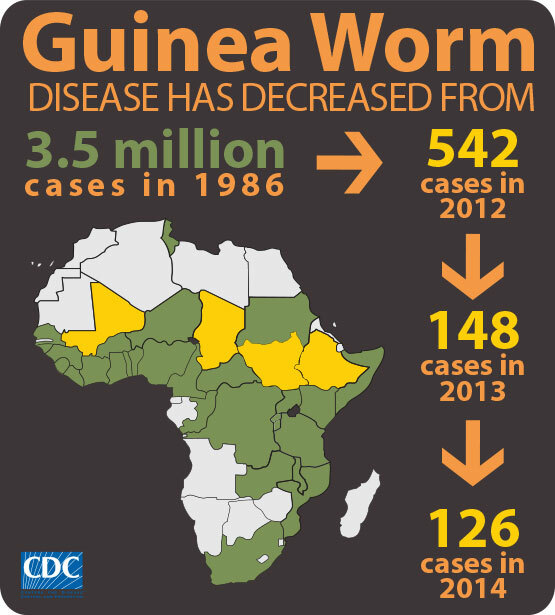 ** Guinea worm disease on the way out! ** 126 cases reported in 2014. ** Guinea worms have been found in hundreds of dogs in Chad, raising the danger that they have found a new host. ** Guinea worm and polio are the two diseases now closest to being eliminated. ** There were only 70 cases of polio paralysis in the world last year, all in Pakistan and Afghanistan. 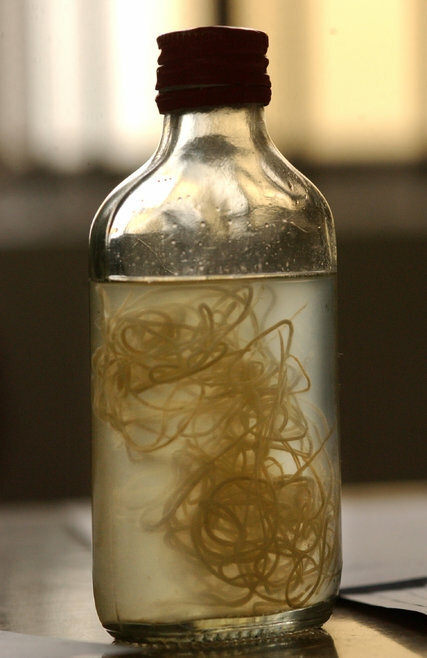 Dracunculiasis (guinea worm disease) is caused by the nematode (roundworm) Dracunculus medinensis. This entry was posted on Tuesday, January 19th, 2016 at 5:37 am and is filed under Guinea worm disease/Dracunculiasis .